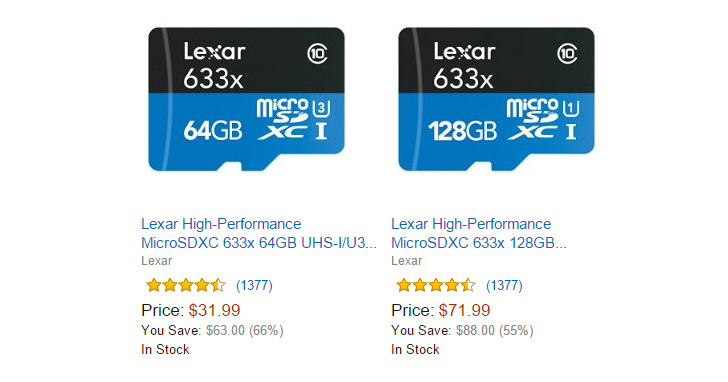 The 64GB Lexar card is $31.99, down about $10 from the usual price and 66% from retail. The 128GB card is $71.99, which is $13 lower than yesterday and 55% down from retail pricing. These prices are only good for the rest of the day (and in the US). Both cards have prime shipping. Feel free to grab a SATA drive or 8GB RAM module too while you're at it. Those are on sale too.